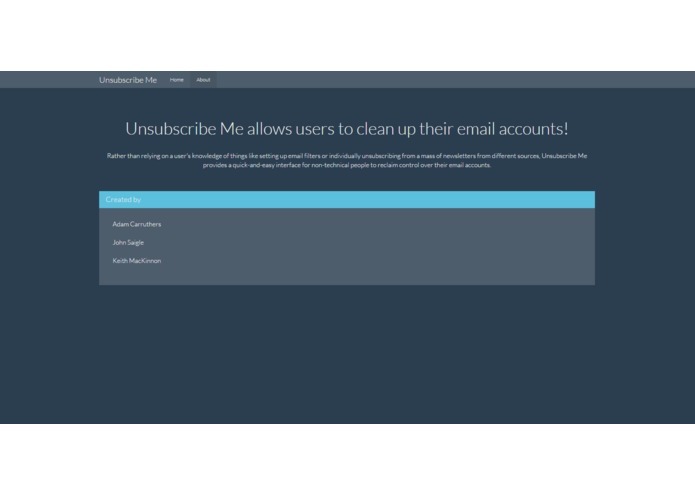 Unsubscribe Me allows users to clean up their email accounts! 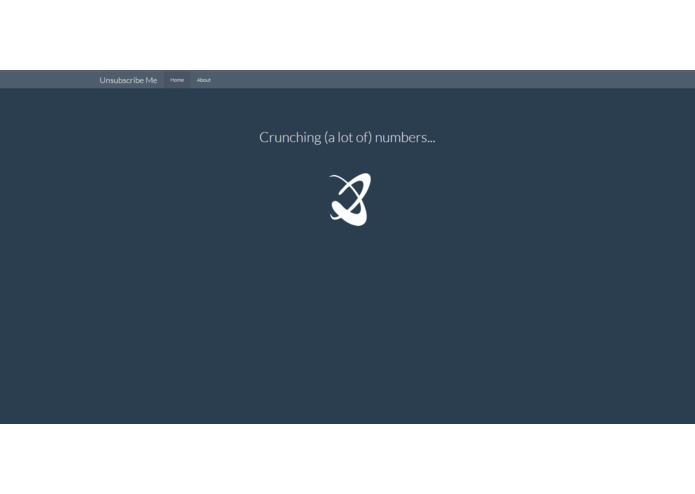 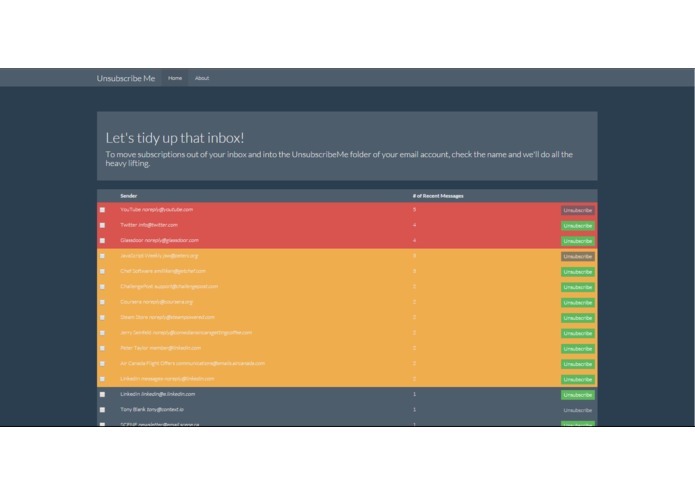 Rather than relying on a user's knowledge of things like setting up email filters or individually unsubscribing from a mass of newsletters from different sources, Unsubscribe Me provides a quick-and-easy interface for non-technical people to reclaim control over their email accounts. 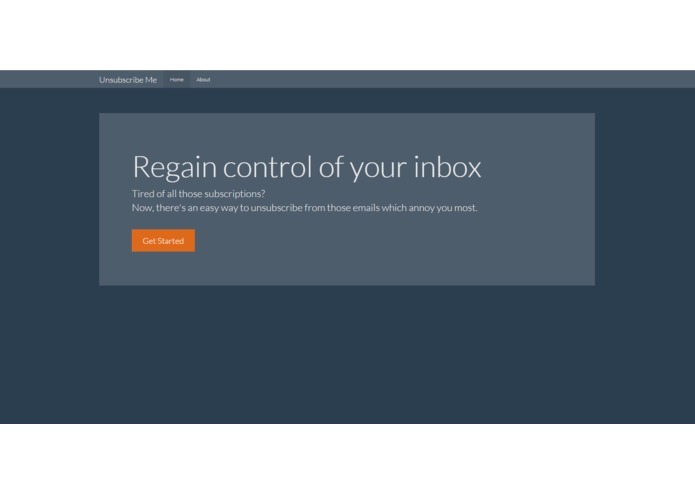 We're most proud of being able to provide a unified interface for unsubscribing from various email newsletters. 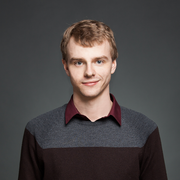 I created the concept of Unsubscribe Me and wrote much of the back-end functionality.